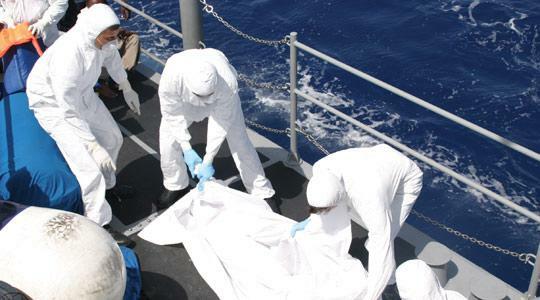 Five corpses recovered at sea in just over two weeks remain unidentified, though police are almost certain they are those of African immigrants who failed to make it to Europe. The bodies were all in an advanced state of decomposition, indicating that they had been in the water for some time. Sources said the corpses were also missing body parts making identification more difficult. Though the gender of the bodies was confirmed in an autopsy, it is very difficult to establish ethnicity. However, the police said "it is 99 per cent probable that they (were) all (illegal) immigrants" and the autopsy established they had drowned. The first body was spotted by a yacht taking part in the Rolex Middle Sea Race, just off Comino on October 23. An autopsy later that week confirmed the corpse belonged to a woman and sources said she was wearing a life jacket. Another three bodies were discovered off Delimara on October 18, and November 1 and 2. Autopsies established the first two were women while the third was male. The body spotted last Wednesday off Xrobb L-Għaġin in Birżebbuġa was also badly decomposed. An autopsy the following morning showed the body was a woman's. On August 27, eight illegal immigrants brought ashore by a patrol boat claimed to have lost 70 at sea during their voyage between Libya and Malta. The immigrants had earlier been taken aboard a fishing boat some 40 miles off the coast after their dinghy began rapidly taking in water. Subsequent searches for survivors by the AFM and a Frontex German helicopter proved to be in vain. Hundreds of African immigrants are believed to drown between Libya and Malta every year, as they try to reach Europe.